In this Fiberygoodness short course, Evanita will take you through the process of successful spindle spinning with the Turkish Spindle. This is the kind of spindle that allows you to create a beautiful center pull ball (‘turtle’) of yarn right on the spindle, removing the spinning ‘arms’ to free your spun yarn when done. You have probably seen the beautiful results of Evanita’s spindle spinning! You will see how she winds on her yarn and tidies up the threads to get these beautiful ‘turtles’. Make your own stunning singles by following the video demonstrations and working through the course notes and text that Evanita has carefully put together. You may enrol and begin your course at any time! Your course consists of online course notes and videos. You will receive permanent access to your course materials and Fiberygoodness Members only resources with your enrolment. Once you have checked out look for your confirmation email with registration links (new students) or head straight to the members area and select your course from the list to access your materials! You can enrol and begin this course whenever you like, take your time and work though the materials at your own pace. 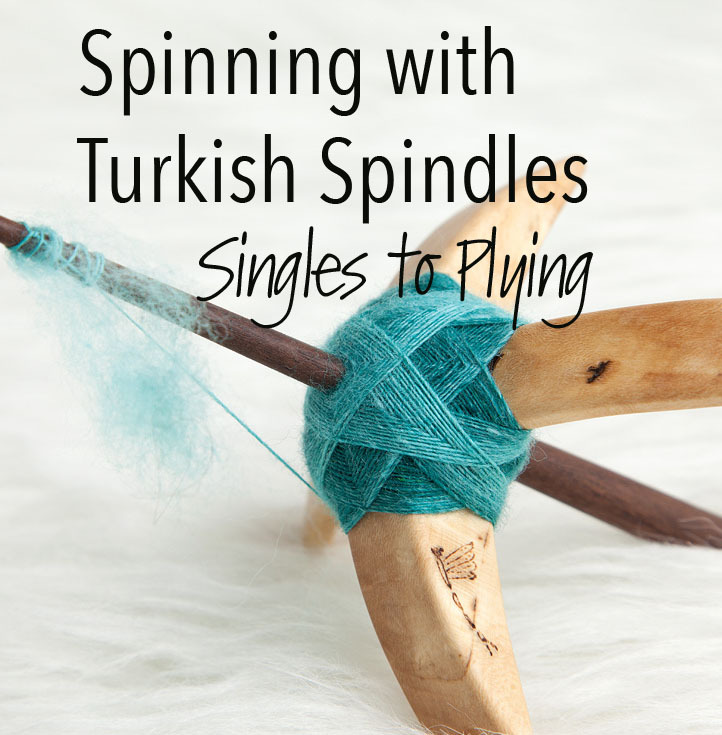 All you need is a Turkish Spindle and your choice of fiber to practice! Commercial top (braids) or roving (carded batts of sliver) are ideal for spinning this way.